Jojo McIntosh’s grandparents got out of war-torn Cambodia in 1982. He plays never forgetting their sacrifices. SCOTTSDALE, Ariz. — When he needs a taste of home, when his supply of Cambodian spices are running short, Jojo McIntosh calls grandma. Cooking is an outlet for McIntosh, the Huskies’ junior safety. One of his favorite dishes is Cha Kroeung, a sautéed stir-fry chicken that’s best served with grandma’s lemon grass seasoning. When he needs more, she’s happy to ship some flavor his way. “He loves his Cambodian food. Anything that smells really bad he loves,” his mom, Sayom, said with a laugh. McIntosh has learned to appreciate the traditional dishes passed down from his grandma. And as he has learned more about her plight out of Cambodia — helping her eight children, including McIntosh’s mom, escape the war-torn country — the more he has learned to appreciate his own situation. Before heading to Arizona to begin Fiesta Bowl preparations with his teammates, McIntosh was back home in Southern California last weekend. He and his family spent time on Christmas Eve feeding “the less fortunate,” as he wrote in a message on Twitter. Before immigrating to the United States, McIntosh’s grandma (who shares a first name, Sayom, with her daughter) had been, in her daughter’s words, a slave for a wealthy family. As she later explained to her daughter, she had been sold to the wealthy family to pay off a debt her parents owed. She cooked and cleaned for that family while her husband — McIntosh’s grandfather — served in the Cambodian army. In 1982, when McIntosh’s mom was 5 years old — one of eight children — the family received a sponsorship to immigrate to the U.S. They settled in Texas initially. They later moved to the Los Angeles area. There, McIntosh’s grandparents worked in a clothing factory. They sewed clothes, earning seven cents for each finished piece. It wasn’t easy for McIntosh’s mom, either. She was 19 when she had Jojo, who spent his younger years in Inglewood and Crenshaw, two of L.A.’s most notorious neighborhoods. He says he’s immensely grateful for his parents, for their determination to improve their situation. “I have so much appreciation from my mom and my dad. They’re amazing,” he said. “They sacrificed so much for where we are today. When Jojo was about 10, the family was able to move out of the city, some 40 miles north to Canyon Country. As he took to football, Jojo started to dream about playing in college. Early in his high-school career, he wrote emails to coaches at small colleges, hoping to generate some interest. “I usually didn’t get a reply,” he said. One coach from Cal Poly, a Division II program, did respond, and the prospects of earning a scholarship began to crystallize for McIntosh. “I always say how hard my parents worked, and I was working hard on the field, and I didn’t want them to have to worry about paying for my college,” he said. By his junior year at Chaminade Prep, as his profile and his body grew, Pac-12 schools started to call. He later chose the Huskies over UCLA. 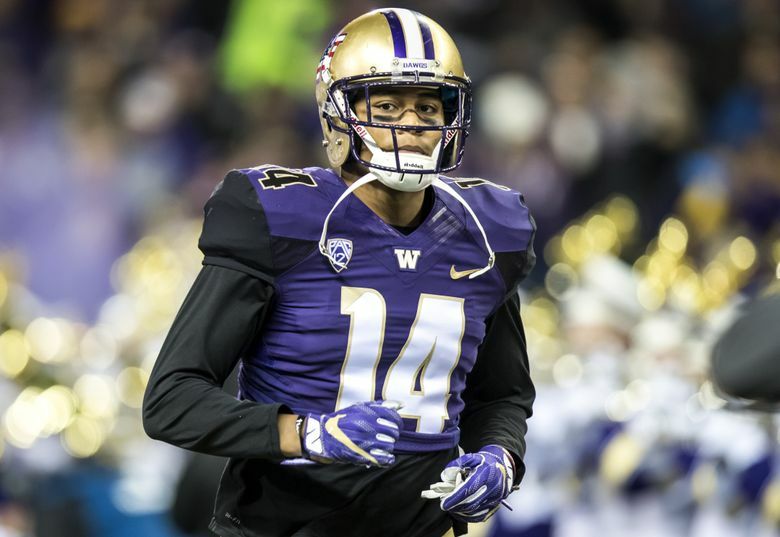 At UW, his major is social justice, and his goal is “to make a difference in the world” once his football career is over. 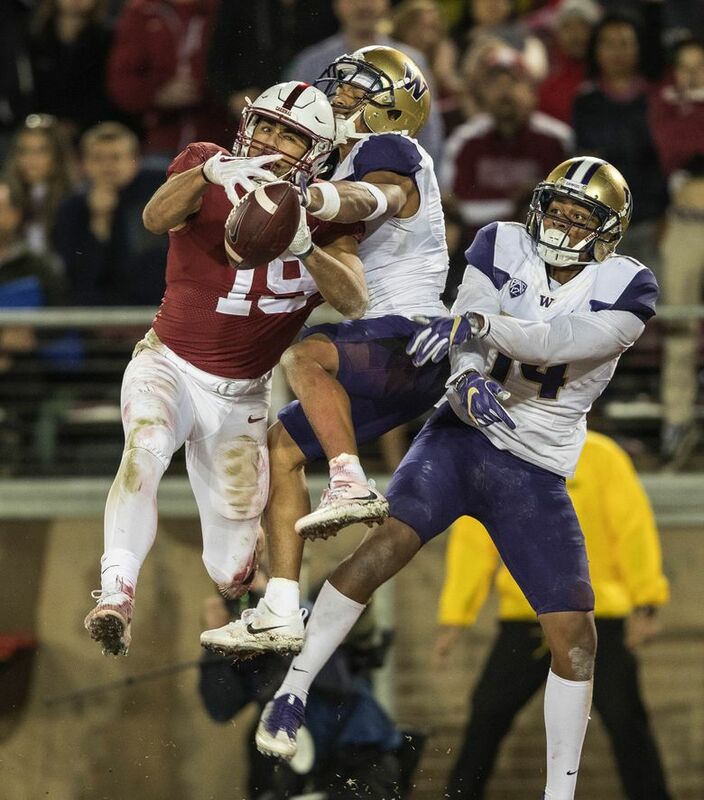 A two-year starter for the Pac-12’s top-ranked defense, the 6-foot-1, 219-pound safety is now known as one of the Huskies’ hardest hitters, and McIntosh takes pride in that. But he has a soft spot, too, especially when it comes to his brothers and sisters. His two younger brothers, Sayom said, look up to Jojo as a role model. Steve McIntosh is a senior defensive back at Bishop Alemany with several scholarship offers of his own, and 11-year-old Dylan is Jojo’s biggest fan. “He really is the best oldest brother anyone can ask for,” Sayom said. She said the family will make the drive from Southern California to Phoenix for Saturday’s Fiesta Bowl. Sayom was hoping her mom, still living in the Crenshaw neighborhood, would make the trip with them, but at 65 years old she doesn’t like to travel much these days. That’s OK. Her grandson will surely be happy to ship some love back her way. Adam Jude: 206-464-2364 or ajude@seattletimes.com. On Twitter @a_jude.